The ILM Level 7 Award in Executive Management, ILM Level 7 Certificate in Executive Management, and ILM Level 7 Diploma in Executive Management are qualifications that have been specially designed to give practising or potential senior managers critical evaluative skills for their formal development in this role. All participants are able to choose from a diverse range of optional units to build their qualification (see the tables below and overleaf). This high level of flexibility allows individuals or their employers to custom build a qualification focusing on the key areas that are most relevant to the demands of a specific role, industry or organisation. 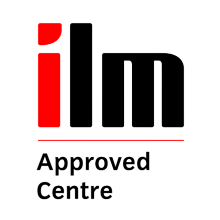 From managing corporate risk to improving marketing strategy, the ILM Executive Management qualifications can be fully tailored to meet the varying needs of participants across all employment sectors. The Certificate in Executive Management builds and broadens the skills and knowledge gained in the Award. In the second mandatory unit, 'Developing the executive manager', participants collect and analyse feedback on their personal management practice and effectiveness. This information is then evaluated against significant management theories/models and schools/trends in management thinking. The Diploma in Executive Management develops a comprehensive range of skills, providing participants with the broad body of knowledge required by senior managers. All participants are able to choose from a range of optional units to build their qualification. This high level of flexibility allows individuals or their employers to custom build a qualification that focuses on the key areas most relevant to their role, industry or organisation. The Level 7 Award, Certificate or Diploma in Executive Management is designed for senior executives, who are new to the role or who are preparing for the highest levels of management. These qualifications are ideal for senior managers seeking to gain confident decision-making skills and ability to lead through change in this role. The VRQ provides the theoretical underpinning knowledge to support your performance as a practising manager. This consists of a combination of classroom based delivery and self study. Candidates will be expected to attend a number of classroom-based sessions, no more than one session per month, as well as completing a number of self study units. The VRQ is assessed through a range of assignments which are completed per unit.